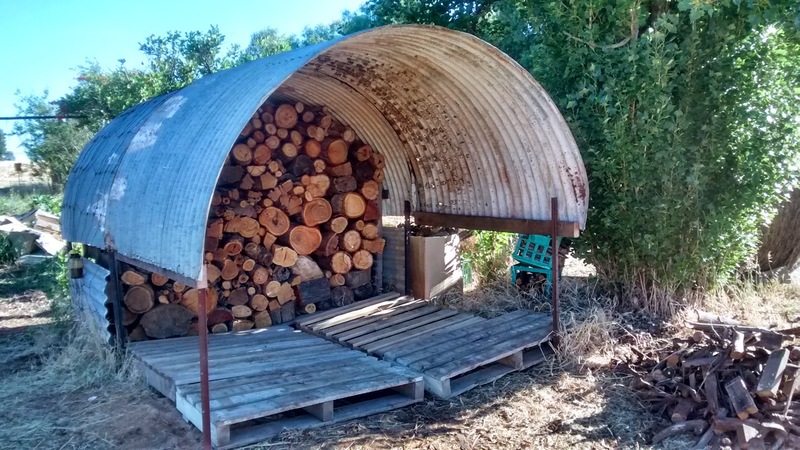 Our old water tank has a new lease on life as a wood shed. It's very comforting to know that we're all set for wood to keep us warm this winter. The first half of the water tank was filled up with wood, most recently from a $35 bid at a clearing sale, and now we're cleaning up the area around the house so we've got a bit more to store. On goes the second half of the old water tank! Pallets keep the wood from rotting on the ground, everything is quite airy, and so far, no snakes are interested in calling it home.